Twitter has banned ads from RT and Sputnik over alleged meddling in the 2016 US election. RT’s editor-in-chief says the move will spark retaliation from Moscow, and has revealed that Twitter pushed RT to spend ad money during the presidential campaign. The social network says it will give away money already earned from the two companies. “Early this year, the US intelligence community named RT and Sputnik as implementing state-sponsored Russian efforts to interfere with and disrupt the 2016 presidential election, which is not something we want on Twitter,” the California-based company said in a statement on its blog. “Twitter has made the policy decision to off-board advertising from all accounts owned by Russia Today (RT) and Sputnik, effective immediately,” Twitter said. 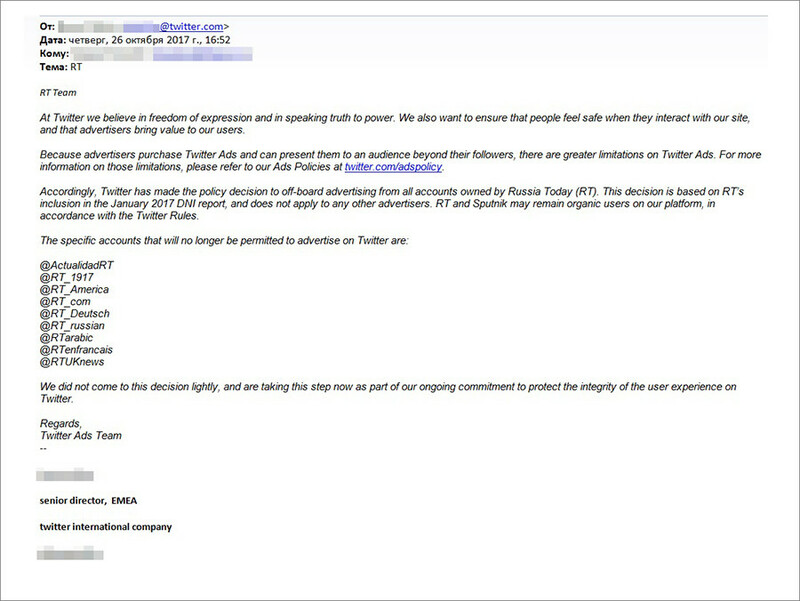 Before it publicized its decision, Twitter sent a letter directly to RT, in which it explained the move in terms of making sure that “people feel safe” when they use the microblogging site. “At Twitter we believe in freedom of expression and in speaking truth to power. We also want to ensure that people feel safe when they interact with our site, and that advertisers bring value to our users,” it wrote. The ban comes a week before Twitter management is due to testify to a US House committee over its role in supposed Russian meddling in last year’s elections. Staff from the company will appear alongside Facebook and Google employees. RT turned down Twitter’s advertising pitch, which proposed potentially investing millions of dollars. In fact, it spent only $274,100 on all US Twitter ads in 2016 – not just during the election campaign – and has further cut the ad budget on the site this year. The Russian Foreign Ministry later confirmed that Moscow would take countermeasures in response to what it called a "violation of freedom of speech." 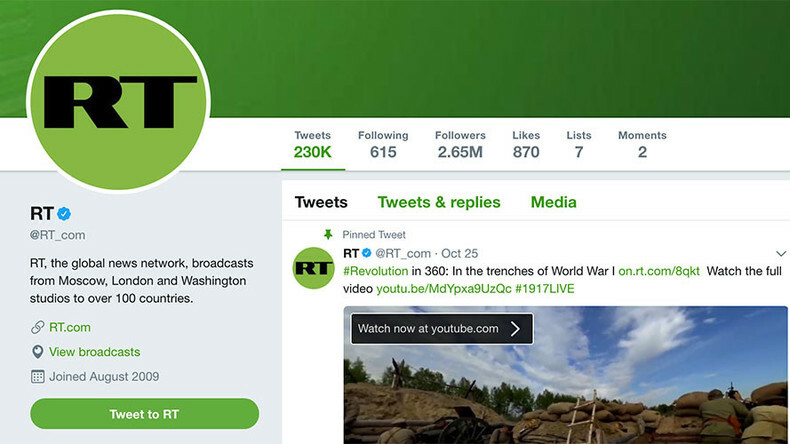 “We consider this an aggressive step that intends to suppress the work of Russian channel RT, which has come about as a result of pressure from the US establishment and security services. 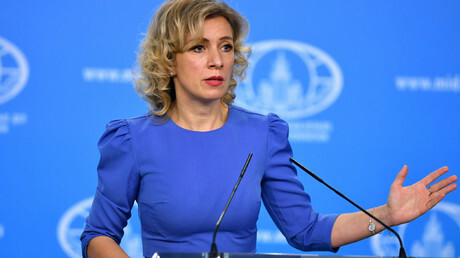 Retaliatory measures will naturally follow,” said ministry spokesperson Maria Zakharova in a statement. “We emphasize that preventing Russian media from doing their job, including with the help of security services, is a testament to a crude violation by the United States of international and internal laws that guarantee the freedom of speech." While the DNI report it references places RT alongside “quasi-government trolls” and other nefarious agents, there are fundamental differences. There is nothing secretive about RT’s source of funding and certainly nothing underhand about its agenda to provide an alternative view to the mainstream Western news coverage. To claim that it “interfered” in the election is to equate exposing its US audience to different perspectives on news stories to a form of illegal meddling. At best, this represents an insult to Twitter’s own audience – who the network believes should be protected from challenging views – and at worst, an endorsement of corporate censorship. What if a foreign government complains that an American news outlet, say Fox News, is spreading American propaganda? What would Twitter do? 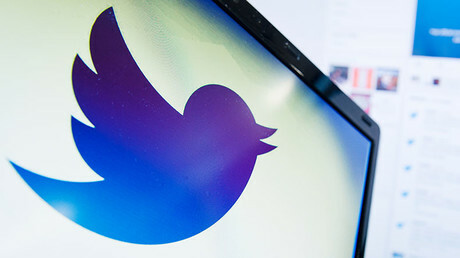 There's no rhyme or reason to Twitter's decision. It's purely arbitrary: classic corporate cowardice to appease jingoistic pressure. There is also no consistency or precedent for Twitter’s approach. In its statement, the microblogging site emphasizes that the sanctions will exclusively concern these two outlets, while dozens of state-funded media companies from China to Qatar to Saudi Arabia, can continue advertising unimpeded, not to mention thousands of accounts that rank from garden variety trolling to spreading hate speech and inciting violence.